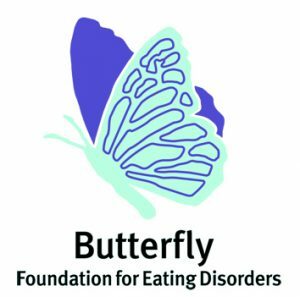 As a leading national voice The Butterfly Foundation represents people living with eating disorders and negative body image and their family and friends. Left unaddressed, the medical, psychological, physical and social consequences can be long term and for many life threatening. Butterfly advocates for improved services from both government and independent sources whilst raising public awareness in the media and via community debate. The Foundation also operates the National Eating Disorders Support Helpline, a range of programs for service providers and recovery groups and prevention programs via schools and workplaces. The Foundation has recently committed to the development of Australia’s first residential treatment facility for eating disorders with its joint venture partner endED. The eating disorder sector has also welcomed major Medicare reform to improve access and affordability. Following the appointment of the current CEO of the Butterfly Foundation to the role of CEO for the National Mental Health Commission, the Foundation is undertaking a search to appoint a new CEO to lead the organisation into the next phase of its development. The new CEO will provide visionary leadership via the implementation, delivery and development of the newly adopted organisational strategy with priorities including the delivery of Australia’s first residential service for eating disorders and a diversified fundraising strategy, while continuing to progress the current breadth of programs and services. You have developed your executive career in a health or clinical setting, tertiary environment, community sector or like-minded corporate or government department. You have an interest in or a connection to the work of The Butterfly Foundation with a commitment to representing all people affected by eating disorders and negative body image. You’re politically astute with innate advocacy and stakeholder engagement skills and ideally a background in relationship development with proven success securing significant philanthropic or corporate support. If you’re an innovative and values based leader with the drive to ensure The Butterfly Foundation achieves its strategic direction, please click apply to submit your resume and cover letter responding to the skills required in MS Word format. Alternatively, please call Richard Green or Annie Barker on +61 2 8243 0570 to discuss.